Audi is set to expand the A6 range with the latest version of its Allroad estate. 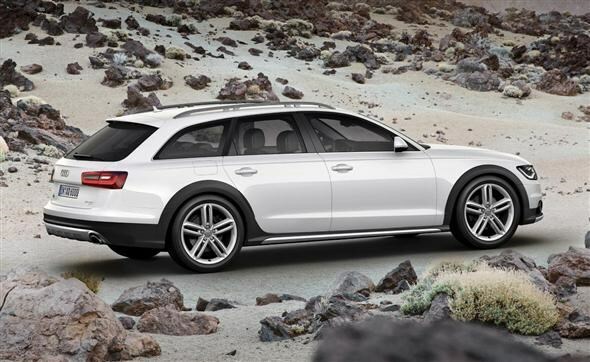 Not satisfied with releasing new versions of its A6 Avant and Saloon, the German manufacturer has now revealed the new off-road model. Based on the standard Avant, this version gets an increased ride height, of 6cm to be precise, and some chunkier styling features for anyone that wants to use their estate off-road. Of course this isn’t a Land Rover Discovery, so you’ll want to stick to the less challenging rough stuff. The added body kit includes extended side sills, more widely flared wings, stainless steel guards to protect the front and rear of the car and two large, and flattened, exhaust pipes. The roof bars are also mounted on double bars. There will be three engines on offer, including one petrol and two diesels. The petrol model is the 3.0-litre TFSI producing 306bhp. This will get you from zero to 62mph in 5.9 seconds. The diesel choice is the 3.0-litre TDI with either 201bhp or 242bhp and 450Nm and 580Nm respectively. The entry level engine emits 159g/km of CO2, meaning you’ll pay £165 per year in road tax, while economy is a reasonable 46.3mpg. With the help of stop/start, the maker claims that it is now 20% more frugal than previous versions. Despite the off-road looks, interior space remains the same as the standard Avant. This means you get 565 litres of boot space with the seats in place, extending to 1,680 litres with the rear seats lowered. There’s also the usual myriad of technology and safety kit available. This includes things like in-car internet access, park assist, active lane assist - to make sure you don’t suddenly cross motorway lanes - and adaptive cruise control. 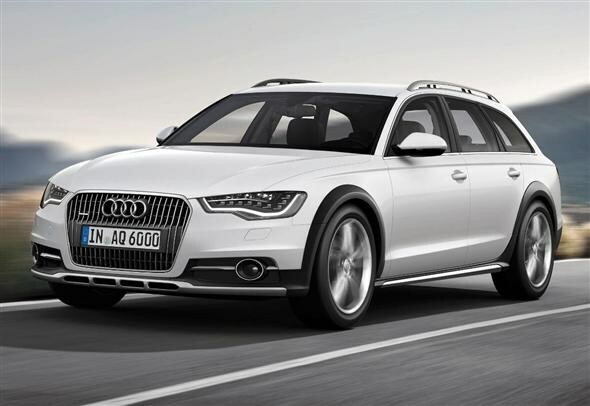 The order books for the new Audi A6 Allroad open in February, with prices starting at £43,145.